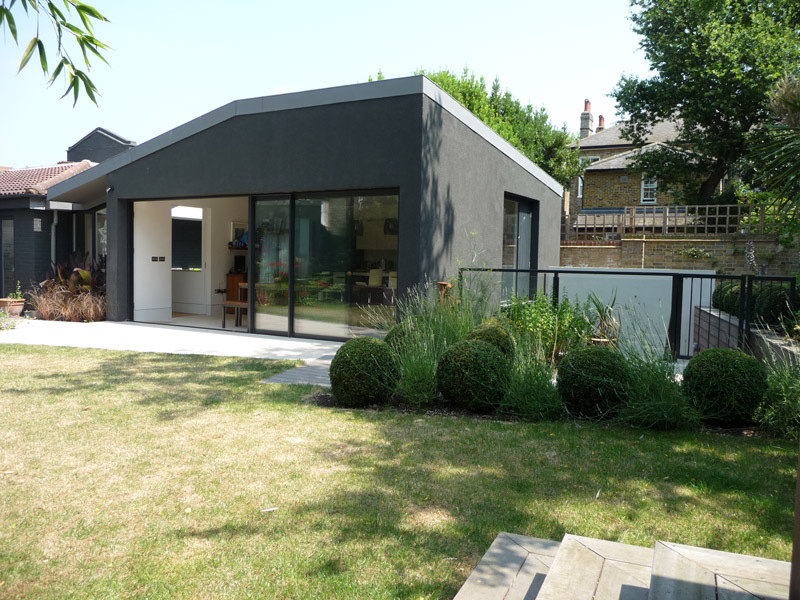 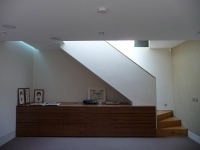 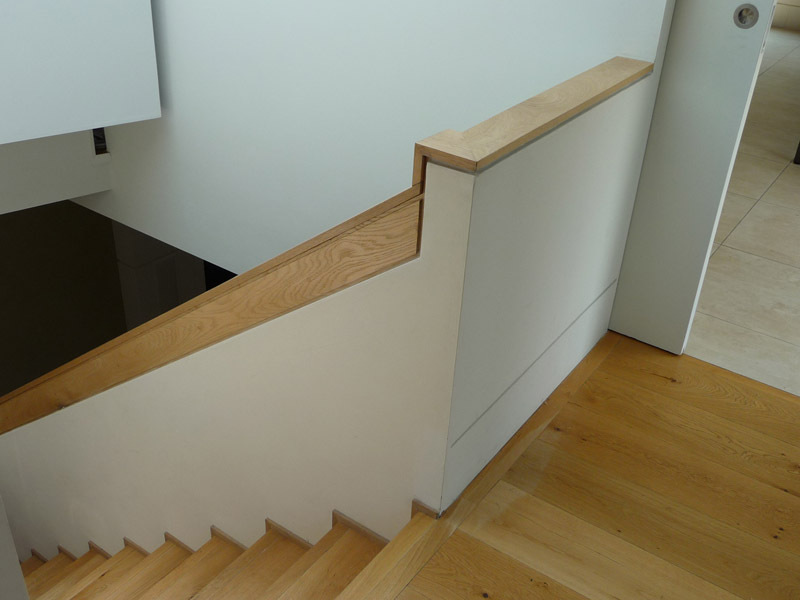 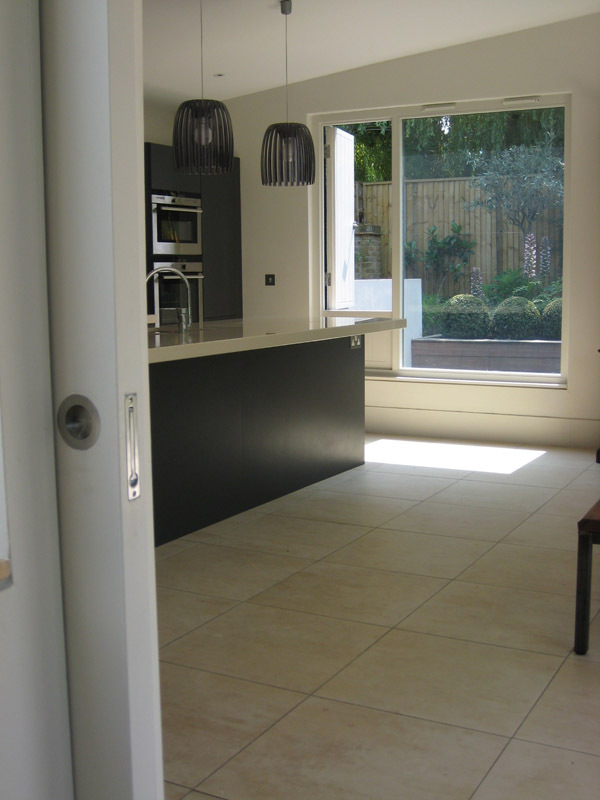 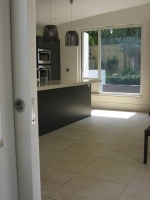 A small modern house set within an urban residential block in South London required extending. 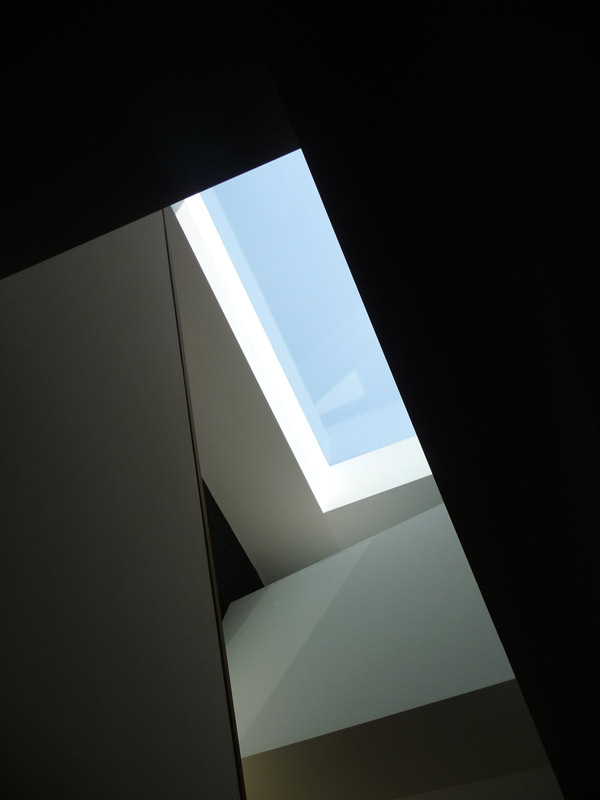 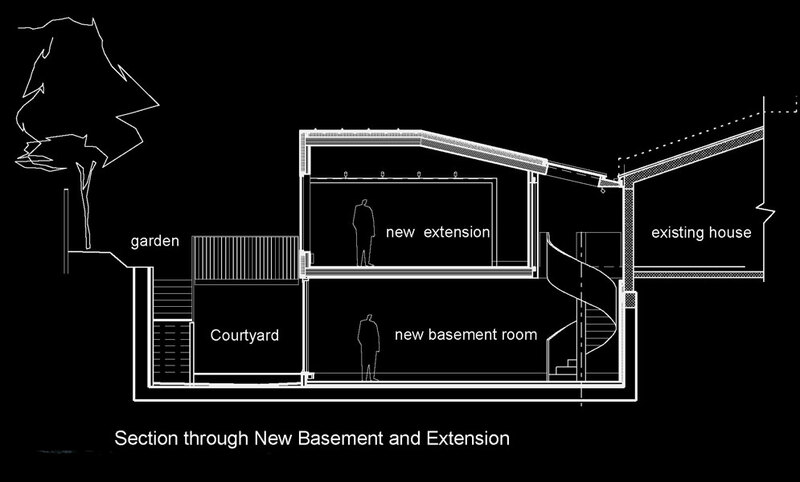 A completely new section of the house was added at the rear, within a secluded garden. 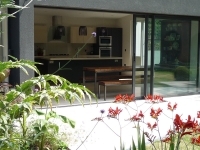 The spacious new ground floor kitchen and dining area opens out onto the garden while the basement room offers generous entertainment space with ample daylight from a large skylight above the main staircase. 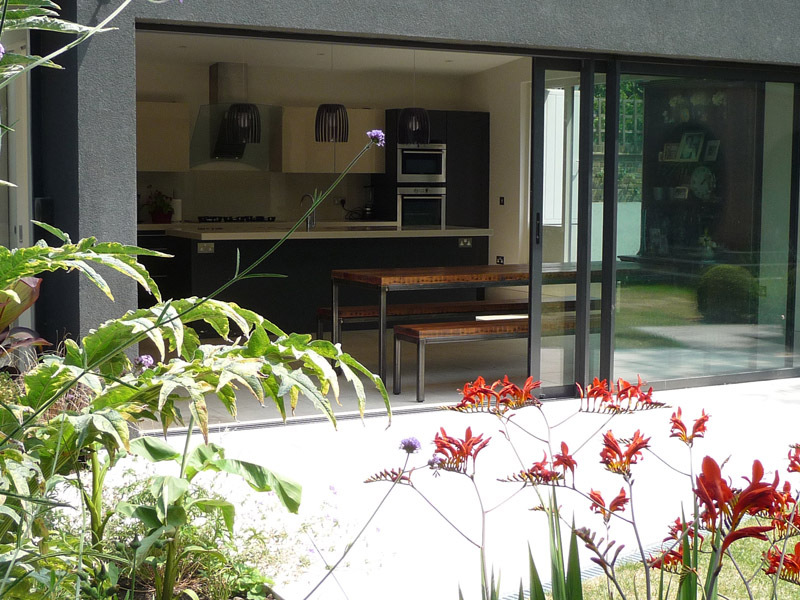 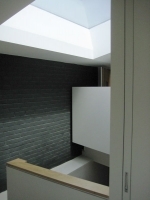 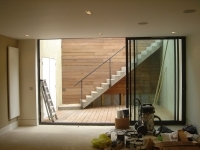 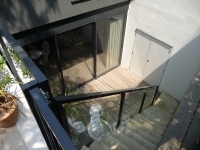 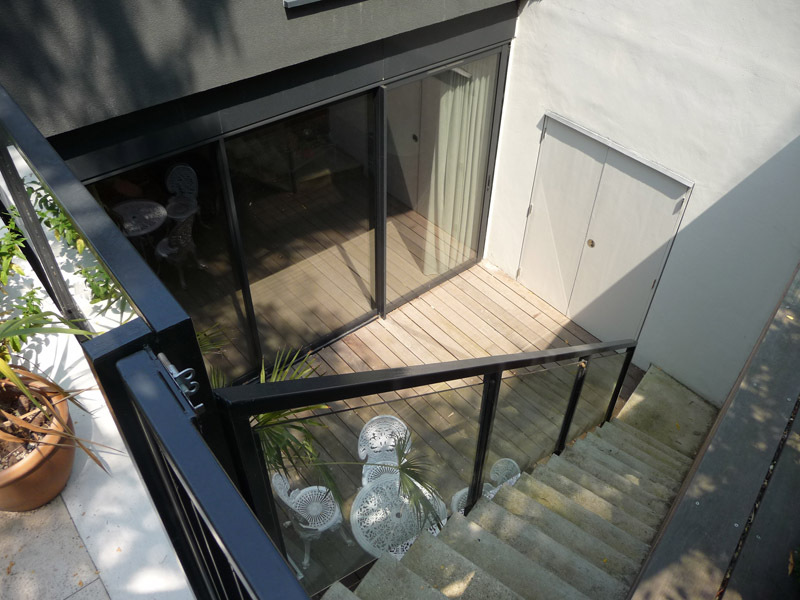 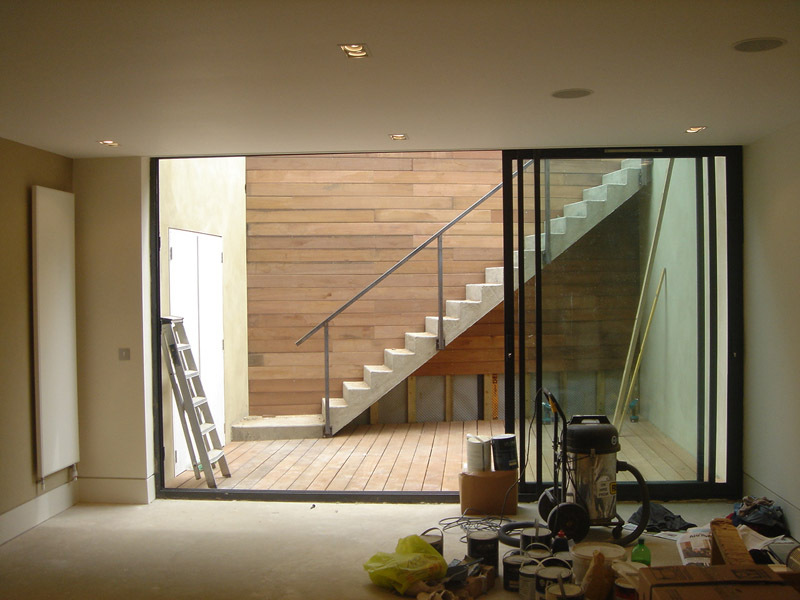 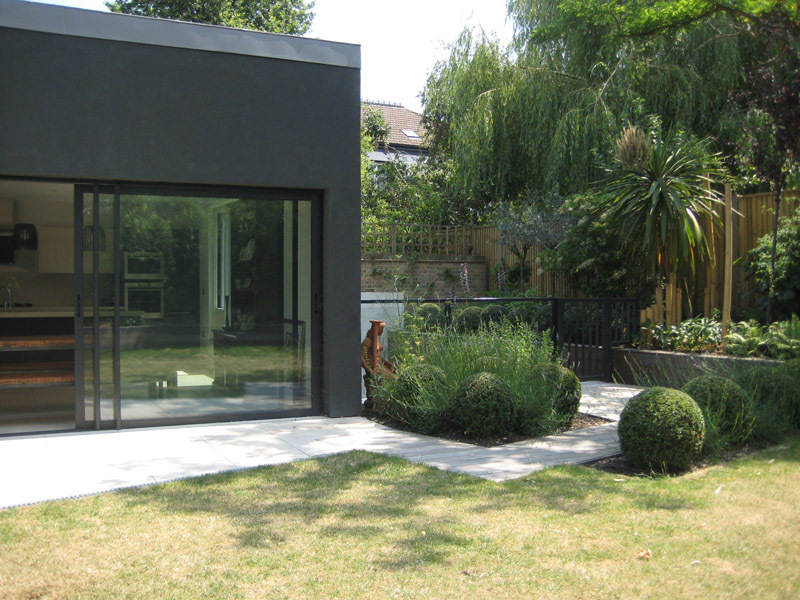 Glass doors access an external timber clad light well with a cast concrete staircase leads back up to the garden.